The iPod touch, with a “touch to home” feature. How obvious, when you think about it? 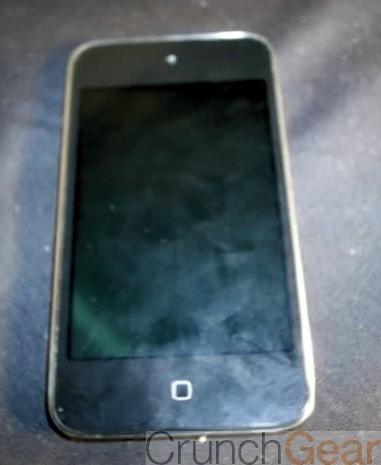 This new leaked photo of what is apparently an iPod touch is making waves around the Internet today due to its lack of a mechanical Home button. Although it’s a bit different than the rumors that suggested that the Home button would go away completely, a capacitive touch sensitive button is certainly one step in said direction. 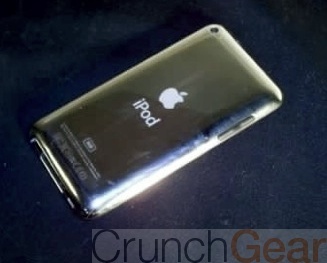 But don’t mark it down in stone just yet, as there are a few reasons to doubt whether the feature will even make it to the iPod touch line, let alone the iPhone. The biggest reason for skepticism comes from the fact that the device is loaded with older firmware as you can discern from the blurry-cam shots, and the fact that the model numbers don’t exactly pan out to anything solid. Aside from that, it’s also been noted that the photo was taken with a camera circa-2002, not that that really means anything. Apple has been known to have multiple prototypes of different models of their products for testing. 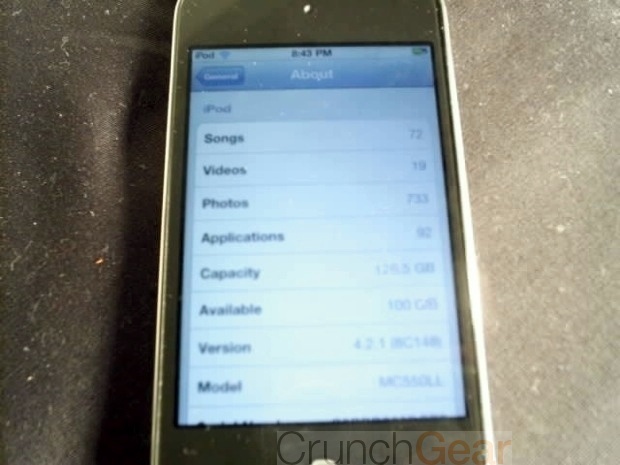 See the 64GB iPhone 4 for evidence of that.